PT Adhi Persada Properti - APP or later known as Adhi Persada Properti is a rapid growing company in Indonesia that is involved in property industry. 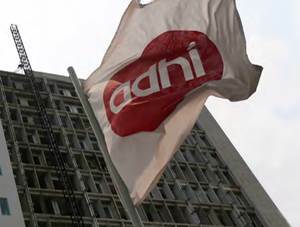 Based in Jakarta, Adhi Persada Properti has its business activities focused in high rise buildings construction, such as apartments, hotel, condotel, office tower and property operator. PT Adhi Persada Properti is a property subsidiary company of PT Adhi Karya (Persero) Tbk (ADHI Group), one of the largest state-owned construction services companies in Indonesia. As of December 2015, PT Adhi Karya (Persero) Tbk is the majority shareholder at Adhi Persada Properti and holds 99.7% of the shares. PT Adhi Persada Properti was first established in 2002 as PT Adhi Realty. The name of PT Adhi Persada Properti was officially established in 2012. In term of financial positions, Adhi Persada Properti especially achieved an exceptionally spectacular performace in 2015 through increasing total assets. According to PT Adhi Karya (Persero) Tbk Annual Report 2015 as cited by JobsCDC.com, Adhi Persada Properti booked total assets of Rp 3,184.96 billion in FY15. This reflected an 122.25% increase from Rp 1,431.66 billion in the same period at previous year (FY14). Male, maximum age of 27 years old. Minimum Diploma (D3) holder from a leading University, majoring in Accounting, Computerized Accounting. Expertise with accounting program (SAP, IFCA or Oracle) is a plus. Strong understanding of taxation and its regulation. Strong understanding of accounting process and journaling. Minimum Bachelor (S1) holder in Law. Minimum 1 year of experience in the field of legal. Strong understanding about the process of legal processing, especially land and buildings. Previous experience in property company is a plus. Minimum Bachelor (S1) holder in Graphic Design, Visual Communication Design, Multimedia, and Communication. Mastering Adobe Photoshop, InDesign and Illustrator. Mastering Adobe Premiere Pro, Movie Maker is a plus. Hands-on experience in handling event and involved as a volunteer. Fresh graduate are welcome to apply. Minimum Bachelor or Master (S1/S2) holder in Architecture, Civil Engineering. Minimum 10 years of experience in the field of Architecture. Previous experience as consultant in architecture/property is a plys. JobsCDC.com now available on android device. Download now on Google Play here. Please be aware of recruitment fraud. The entire stage of this selection process is free of charge. PT Adhi Persada Properti - Fresh Graduate, Experienced Staff ADHI Karya Group March 2017 will never ask for fees or upfront payments for any purposes during the recruitment process such as transportation and accommodation.